The Queen Elizabeth Coronation Necklace. This necklace has been inspired by a Present from her husband King George VI to commemorate their Coronation in May 1937. Made by Garrard the Crown Jeweller, the original comprises of forty brilliant cut diamonds. 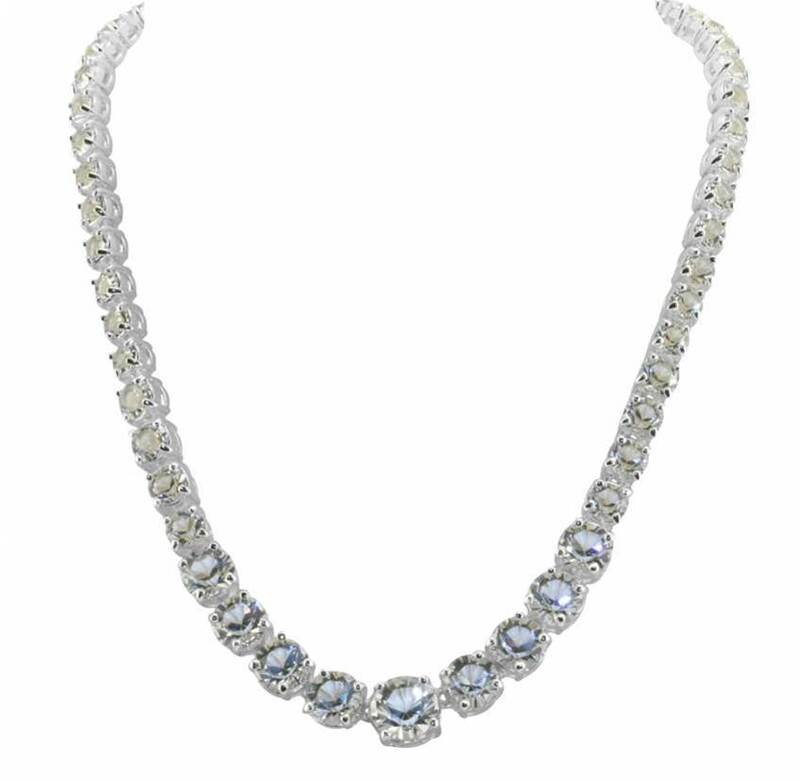 Queen Elizabeth (later the Queen Mother) wore this necklace along with the Queen Victoria Collet Necklace on her Coronation Day and subsequently throughout her long life. 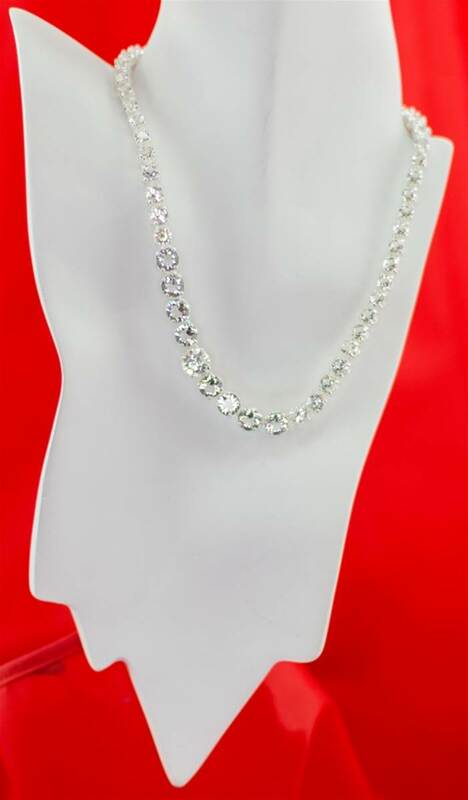 Silver Plated with Swarovski elements.